Young woman and man rollerblading and performing in park on a beautiful warm day, holding hands. 브라질 소녀의 슬로우 모션 트래킹 샷 황혼 아베 비에이라 Souto을 인라인 스케이팅. Couple rollerblading at daytime. Smoke is coming from rollerblades. Colorize your life. Ride through the city. Rollerblading stunt in slow-mo. Young man inline skating, daytime. Extreme sports definition. Couple is rollerblading outdoors. Two people in evening city. Roll with me. Moments worth remembering. 아름 다운 화창한 날 공원에서 인라인 스케이팅 젊은 매력적인 여자. 젊은 여자와 공원에서 아름 다운 화창한 여름 날에 인라인 스케이팅 남자, 춤. Couple rollerblading in slow-mo. 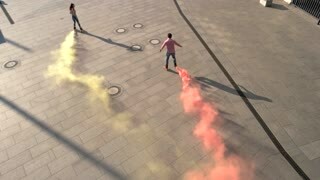 Colorful smoke coming from rollerblades. Colorize the world. Live to move. 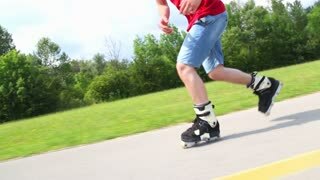 Person rollerblading in slow-mo. Inline skater is jumping. Feel the freedom. Couple rollerblading in the street. Bright smoke coming from rollerblades. We will colorize the world. Life in constant movement. 08. 09. 2016 -Kyiv, Ukraine. Group of people rollerblading. Inline skaters in motion. Ride and have fun. Young woman and man rollerblading and performing in park on a beautiful warm day. 젊은 여자와 남자의 손을 잡고, 인라인 스케이팅 아름다운 따뜻한 날에 공원에서 수행. Young woman and man rollerblading on a beautiful sunny summer day in park, hugging each other. Rollerblading in the city. Blue smoke coming from rollerblades. Give this world new colors. We're young and free. Guy rollerblading in slow-mo. 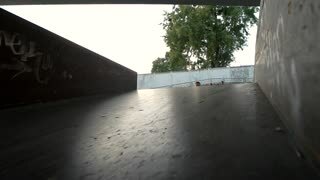 Person inline skating outdoor. 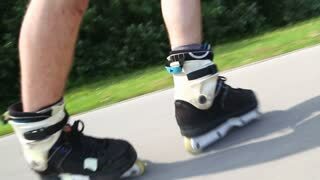 Best places to rollerblade. 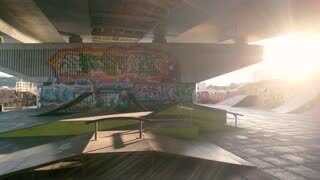 Inline skater jumping, side view. Young man rollerblading, graffiti background. 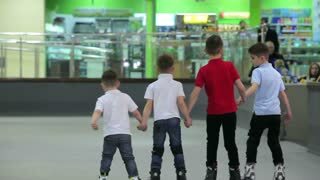 Group of inline skaters outdoor. Female rollerblading in slow-mo. Healthy and active youth. Guy on rollerblades doing trick. Inline skater jumping, slow motion. Aggressive rollerblading tips. 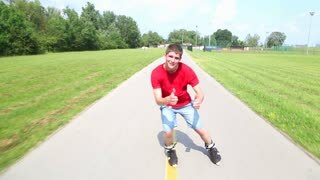 Rollerblading trick in slow motion. 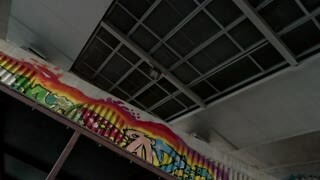 Inline skater and colorful graffiti. Young woman and man rollerblading on a sunny day in park, holding hands. Close up of young woman and man rollerblading on a sunny day in park, holding hands. Young woman and man rollerblading and performing in park on a beautiful warm day and man jumping.